I love finding the products and things of life that are just dependable, satisfying, and perfect; items that I want to stock up on, Y2K style, for fear they will stop being produced at some point. I often think I could so easily be a spokesperson for these products because I genuinely love them and practically want to shout it from the rooftops. By the same token, I love hearing about other people's rave reviews, so I thought it'd be fruitful to discuss this stuff every now and then—a series about products that I can't live without, or at least certainly wouldn't want to. My skin is a constant source of frustration for me. Sometimes it feels as though it doesn’t matter—sleep with makeup on, religiously take it off, focus on non-comedogenic products, wear whatever I want, use topical creams, go to the dermatologist—regardless, my skin seems to break out. However, there is one product that I’ve used that I'd wholeheartedly recommend to anyone with this same issue. And, notably, I was introduced to this product by two different Sephora employees who both swore by it, and for whom no other products seemed to work nearly as well. These pads were made by a dermatologist, and have been praised over and over again. Now this is not an inexpensive product, which is why I’d only ever recommend it if I truly felt the money was worth it. If you use these peels as directed and leave your face alone (do not pick), I would bet you see progress (this is me saying, without wanting to make statements of promise, that I’d be shocked if you weren’t happy with this purchase). I highly recommend it. For me, discoloration faded, problem areas were taken care of, and new issues were kept at bay. I still use this product, although only a few days a week (which also, fortunately, makes my money go a little further). There is no food out there of which I could be a more diehard, genuine, and God’s-honest-truth supporter than spicy hot tomato oil from one of my all-time favorite restaurants, Pastabilities, in Syracuse, New York. Some of my earliest memories revolve around the restaurant where both my parents worked, and the memories have continued into adulthood. Suffice is to say that this place is home to me in many ways, and nothing says comfort to me like Pastabilities’ famous Hot Tom sauce. It has been serving this sauce for years, but when the restaurant was featured on the FoodNetwork’s Diners, Drive-Ins, and Dives with Guy Fieri, the sauce sort of took off. My favorite way to eat it is the simplest way: sopping it up with good crusty bread. But it’s also divine on pasta, with fried calamari, on pizza, on sandwiches…on everything, frankly. It’s hot, spicy, garlicky, a little sweet, and full of ripe tomato and good olive oil flavor. It’s so freaking delicious and people go nuts over it. It’s actually hard to comprehend until you try it yourself, because it’s quite simple in nature. But I’ve never had any kind of tomato oil or sauce that even begins to rival this stuff. Just do yourself a favor and spend a few bucks on a jar. Heat it up in a sauce pan, and get after it. Life is defined by birthdays, graduations, weddings, childbirth, and Hot Tom. Makeup is not my forte, especially makeup that requires a level of artistry (i.e. contouring, eyeshadow, etc.) I’m also just not the hugest makeup fan—I’d rather spend my discretionary money on clothing. But this is one makeup product that a little bit changed my life. It gives your brows a little more definition, a little more oomph, while still looking natural. 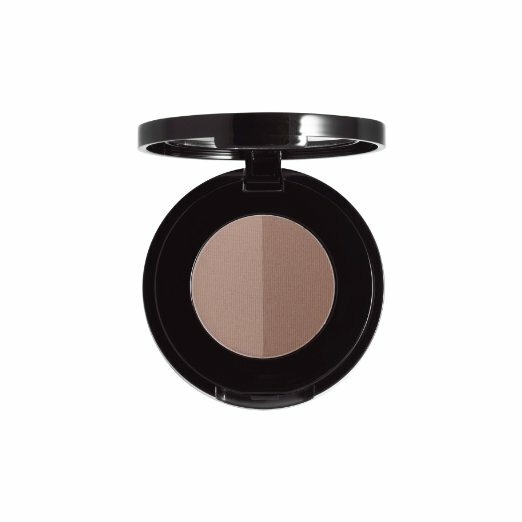 And while I can no longer find the same Anastasia Brow Genius Kit that I first bought, I imagine this version of the brow powder is just as good, if not better. Other eye pencils and things that I’ve seen just simply do not cut it. To use, just brush the tiniest amount of powder into your brows evenly, or where you think you need it (for me: filling in the inner part, and making a slightly more drastic tail so the illusion of a better angle is created). It will hardly look like you’ve applied any, but when you step away and look at your face, voila! I LOVE this stuff, especially for nights out, although I do wear it during the day sometimes, as well. If you love pickles with a lot of garlicky flavor, with great crunch, with a little heat; if you consider yourself a pickle connoisseur; if it’s the first thing you grab out of the fridge when you’re starving and/or hungover; if you’re a pickle snob and feel constantly let down by most pickles you try, even though any pickle is better than no pickle: Grillo’s are for you. They’re not sold everywhere, but they’re sold at quite a few places, as well as online. I don’t think I’ll ever really stray, now that I’ve been introduced to Grillo’s. If your favorite viable news source and Betches and CliffsNotes somehow had a child together, it would be the Skimm Report. Although this isn't a product per say, it's one of my favorite tangible additions to my life as of late. It’s a daily email newsletter with a skimmed version of all the top news stories or relevant topics, and it’s written with a fresh, clever (sometimes humorous and sarcastic), smart, and editorial edge. I read it every single morning, and not only is it a great quick way to get informed on busy days when I might not read any other news, but on slower days it often has me craving more knowledge about covered topics, leading me to set out to read more. The price tag is hefty, but I highly encourage you to purchase this if you ever see one at Marshalls or TJ Maxx or HomeGoods (that’s where I’ve gotten both of mine—hugely discounted). You can make soups and stews in these, bake bread in them, they can be easily transferred from stovetop to oven, you can brown and braise meats beautifully, they heat things up uniformly—and it’s very difficult to burn anything. They’re simple to clean, and they last forever (possibly even getting cooler and cooler as they age—have you seen the antique versions?!). Plus, I felt even better supporting this product after reading this fascinating article about Le Creuset production and the unique and beautiful enamel coloring (hint: they’re making these pots the same way they’ve been making them for nearly 100 years). There’s actually nothing I love more than good craftsmanship, especially when I can have a little piece of it. This combines a couple of my favorite things, because this product also happened to get its big break on Shark Tank. I know it's a little absurd to have any strong feels about a sponge of any kind, but I can't lie about it. I, like everyone else, grew up with regular sponges, the green and yellow ones that were great for a couple of uses and then, as a dear friend described it, they soon became the equivalent of washing your dishes with a raw chicken breast. The Scrub Daddy (weirdest name ever) somehow never takes on any sort of smell, and keeps its scrubbing tenacity and ability for a longggg time. In cold water the Scrub Daddy retains a harsh and firm texture for scrubbing dishes, and in hot water it becomes softer and more sponge like for easier washing. I'm just obsessed with it!! Am I a loser? Just go try it! I love Aerie's pretty lace undies, including these cute cheeky ones pictured, as well as their thongs, and bikinis. I love that they come in a wider array of sizes than many other brands (XXS-XXL) so that you can find a perfect fit. The lace is so pretty, comfortable, and high quality, but at a really affordable price (7 pairs for $27.50!) Between all the different styles, Aerie offers quite a few colors, so it's fun to get an array and not feel like it's money poorly spent. Undies get so much wear that I'm always impressed by those brands, especially lace versions, that really last. At the same time, these are inexpensive enough to be able to treat myself fairly often.